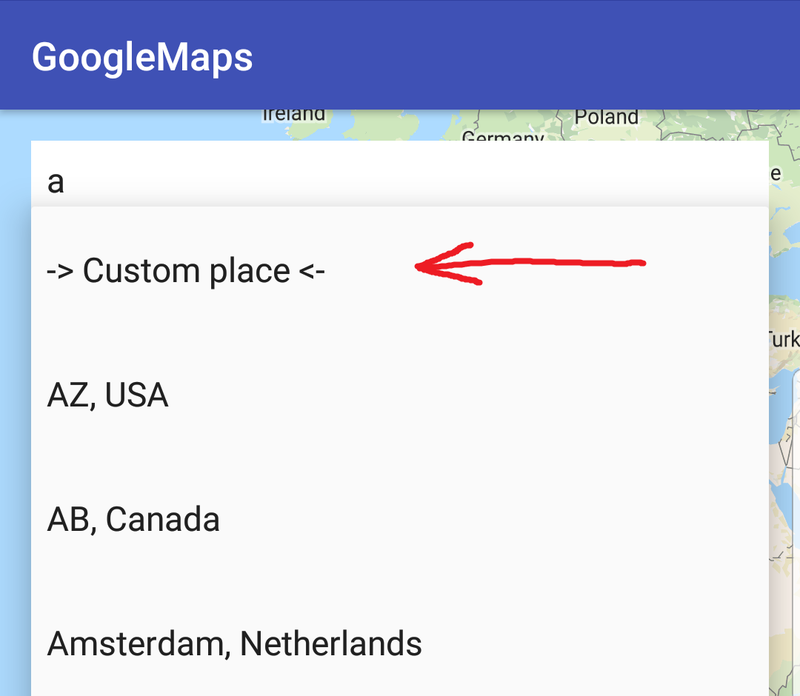 Is there a way to pin an address to the top of a placeautocomplete search for an android app? This example is in JS/HTML, but I couldn't find anything for native android studio. Anyway you can use customized AutoCompleteTextView like in this article. You should add your custom place name in protected void publishResults(CharSequence constraint, FilterResults results) just after filling places list from results.values; from Task<AutocompletePredictionBufferResponse>. And don't forget to activate Places SDK on Google Cloud Platform Console. Not the answer you're looking for? Browse other questions tagged android google-maps google-places-api google-maps-android-api-2 placeautocompletefragment or ask your own question.